Ethnic Spice blends. Click on the spice names for recipes! 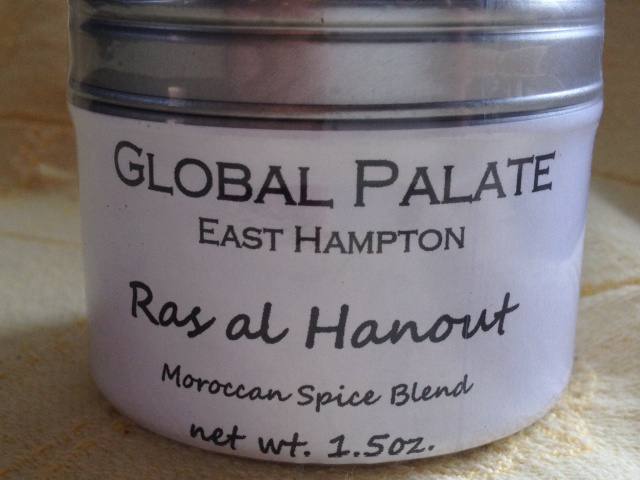 Ras al Hanout-1.5oz./42.5g tin-This is my special Moroccan blend of over 20 different herbs and spices such as: grains of paradise, dried rose buds, lavender and saffron etc... 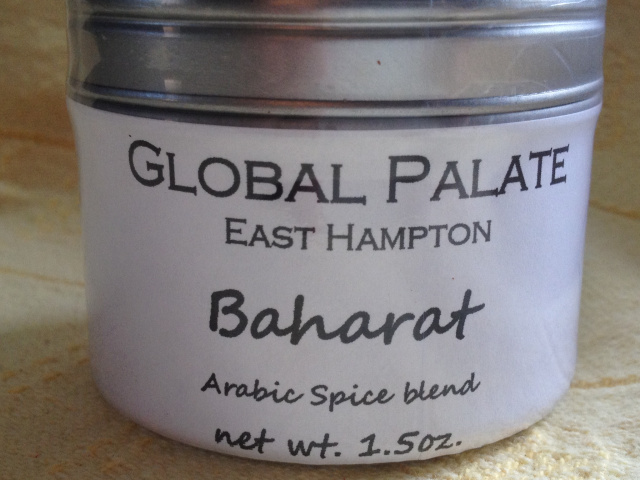 This amazingly fragrant and savory spice blend is a must for a tagine or other Moroccan dishes. It remains one of the most expensive spice mixtures due to the many exotic spices and amounts of saffron that it contains. 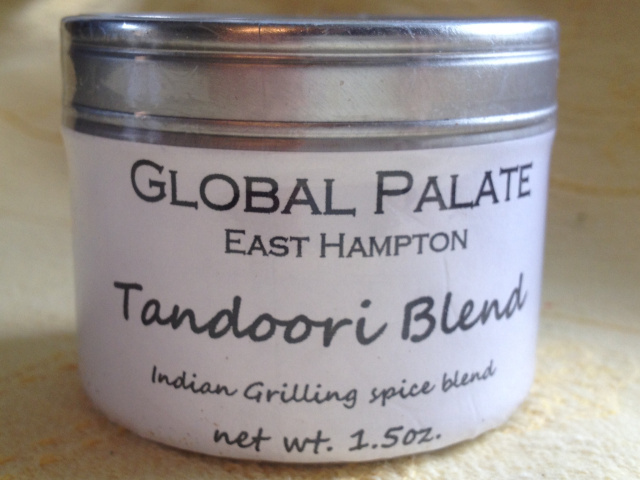 Tandoori Blend-1.50oz./42.5g tin-Tandoori blend is my mix of Indian spices for delicious Tandoori-style grilled chicken, lamb or pork. It is mildly spiced, yet rich in aromatic flavors. Mix a few tablespoons into some Greek or regular yogurt, add a tsp. of salt and marinate then meat for a few hours then grill over a medium charcoal fire until done. 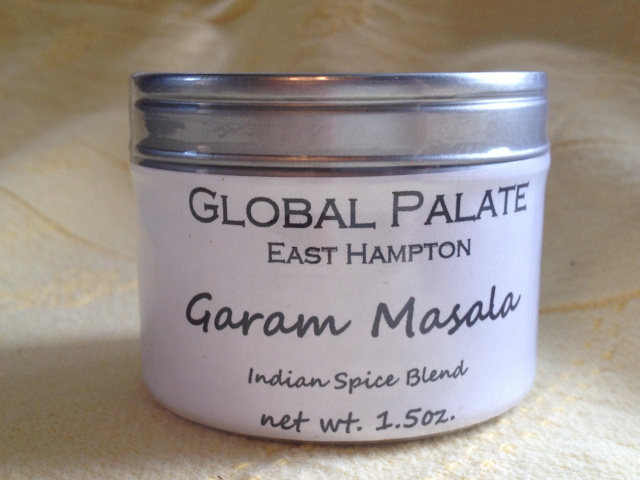 Garam Masala-1.5oz/42.5g tin-Garam Masala is an Indian spice blend containing so-called "sweet spices" like cinnamon, cardamom ,cloves etc and is commonly added to a curry near the end of cooking to give a flavor "boost" It lacks the turmeric and spiciness of a curry powder. Shichimi Togarashi-1.5oz/42.5g tin- Shichimi togarashi is one of the very few spices used in Japanese cooking. The name means 7 spices and contains black and white sesame seeds, Chinese chiles, dried tangerine peel, seaweed flakes, hemp seeds or poppy seeds and mountain prickly ash berries. It is commonly served sprinkled on Teriyaki dishes or on Asian noodle dishes. 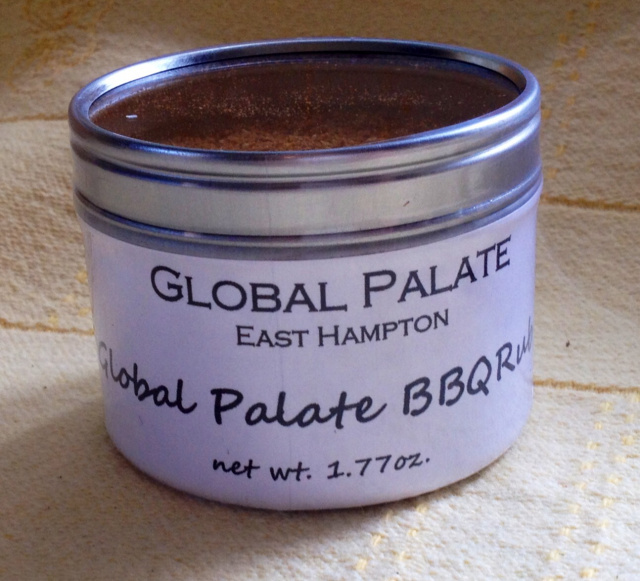 Global Palate Tex-Asian BBQ Rub-1.77oz./50g tin- This is my special recipe for a truly unique tasting BBQ experience which combine some of the ingredients of the Southwest and Southeast Asia. It contains over 15 different herbs and spices and will liven up any grilled meat or chicken and is especially good on a BBQ brisket! 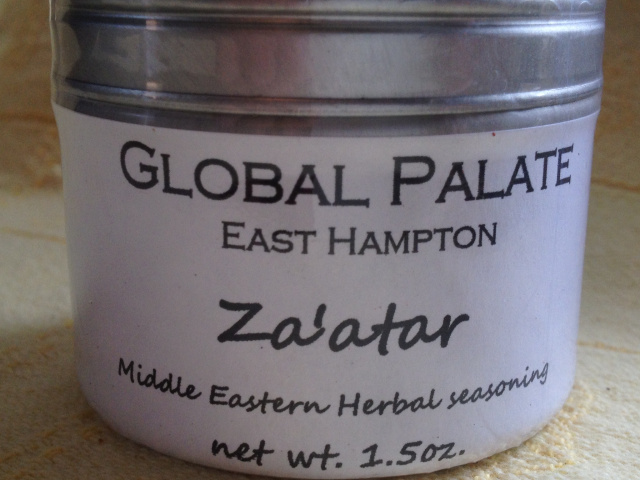 Global Palate Za'atar-1.5oz/42.5g tin- Za'atar or Zahtar is the ubiquitous herb blend used all over the Middle East from Israel to Syria and everywhere in between. My blend leans a bit more towards the Israeli style with its fragrant thyme and orégano herb notes lightened by the addition of sumac, lemon peel, sea salt and sesame seed. 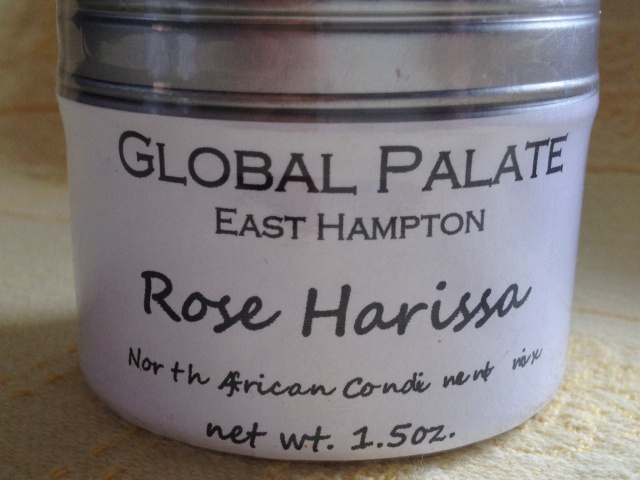 Global Palate Moroccan Rose Harissa-1.5oz/42.5g- Rose Harissa is a fabulous spicy and fragrant blend of dried organic rose buds, assorted spices and 4 different kinds of dried chiles for heat. Add a clove of garlic, a bit of tomato paste, some lemon juice and olive oil to form a paste then serve as a tableside condiment or rub on chicken or lamb and grill or roast. HOT!! NEW!!! 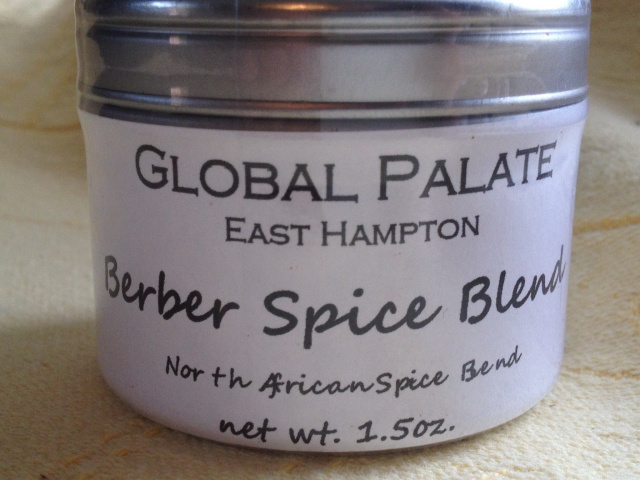 Global Palate Berber Spice Mix-1.5oz/42.5g- Global Palate Berber Spice mix is a delicious and intriguing blend of 10 spices such as cardamom, fenugreek, black pepper, cumin, coriander, cloves etc. It has a mix of the " sweet spices" such as cinnamon and of the savory and makes a wonderful rub and marinade for chicken, beef, lamb or pork. I combine some lemon juice, olive oil, garlic and a and marinate my chicken in this mixture for a few hours then grill over a medium heat and serve with the Tomato-Onion chutney ( see recipe under Garam Masala). 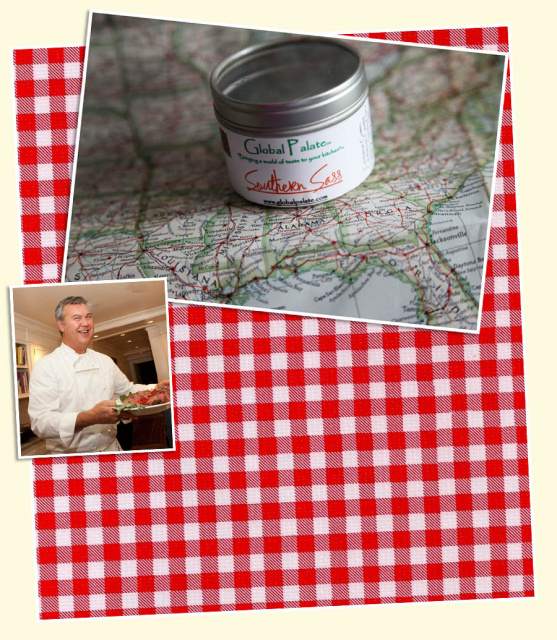 Global Palate "Southern Sass" spice blend- 1.5oz/42.5g- Global Palate "Southern Sass" is a special blend of spices typical of the cuisine in the Southern U.S. created for Charlotte Moss. It combines the aromatic flavor of cumin along with the sweetness of nutmeg, the smoky flavor of alderwood smoked salt and the richness of many other spices to bring you a taste of the Old South. Use it on vegetables, meats or fish to add that "something special" and wait for the complements to begin.